fabuluster is a husband & wife design duo. they make custom jewelry etched with your fingerprint! wouldn't these make romantic wedding rings? we are so on the same page! 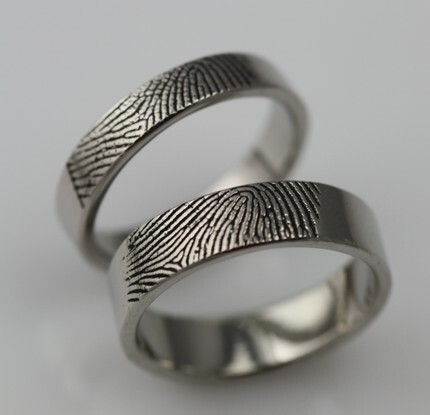 i blogged about these sweet fingerprint rings last february! LOVE these rings. Adorable blog also! I'm a new follower. Feel free to follow mine as well please! woah, those are so cool. oh my gosh these are cool. been wondering what to do for our "teenage" anniversary coming up-13 years in august. now i know! gonna get mine ordered!